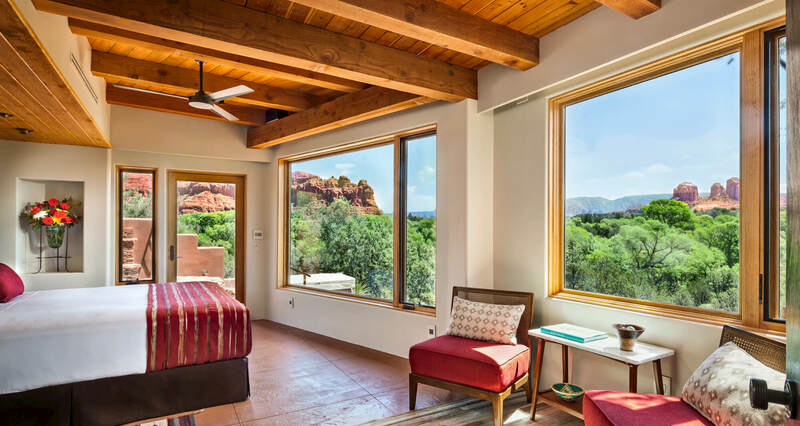 Elegantly simple ( and simply elegant ) Sun Cliff is a one-bedroom casita designed for stunning views. 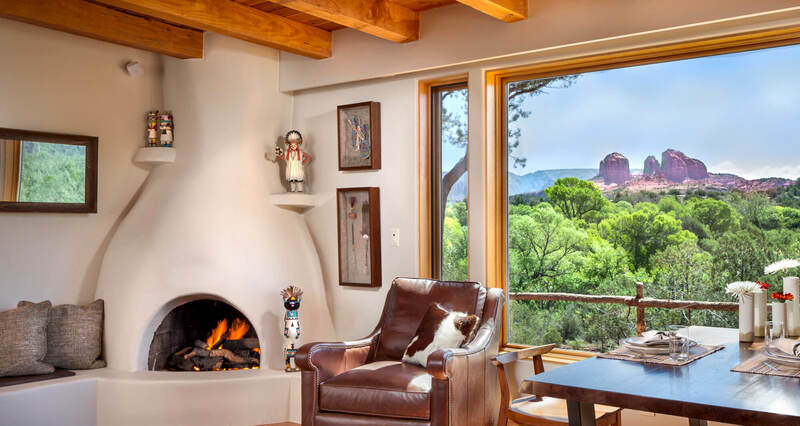 Every window captures the magnificence of Cathedral Rock, the green valley, and musical Oak Creek – a creek that sits within your own private 24 acres. 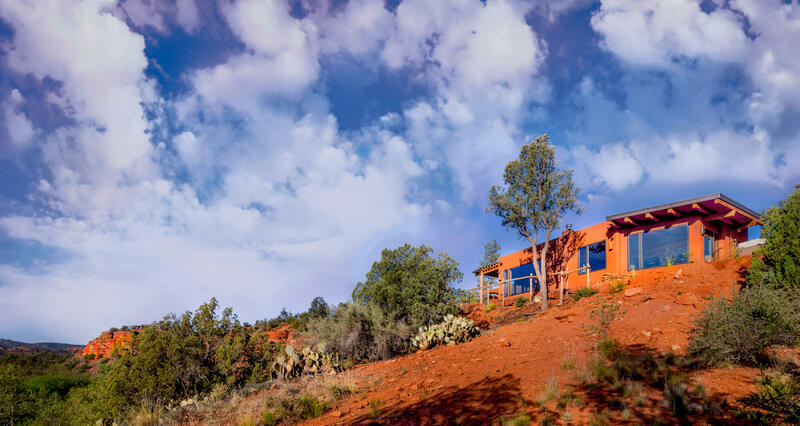 Here, contemporary luxury meets and embraces the spirit of the Southwest without detracting from the beauty that surrounds. 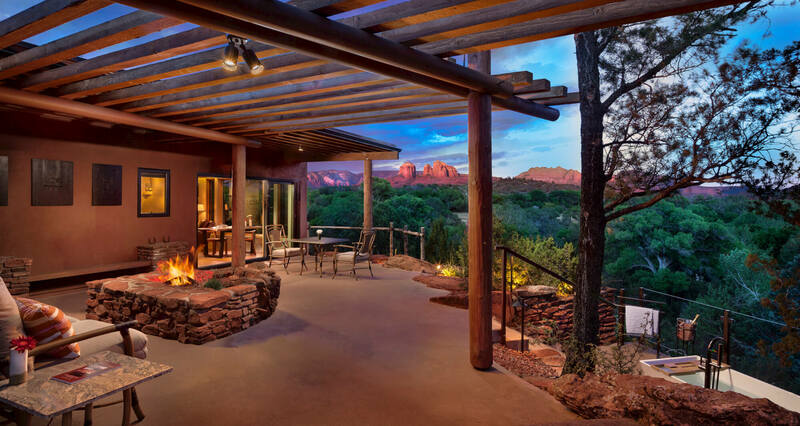 An intimate and exclusive hideaway complete with the five star amenities and services you expect at one of Sedona’s boutique hotels. Journey to Sun Cliff, a home that strives to exceed your expectations. 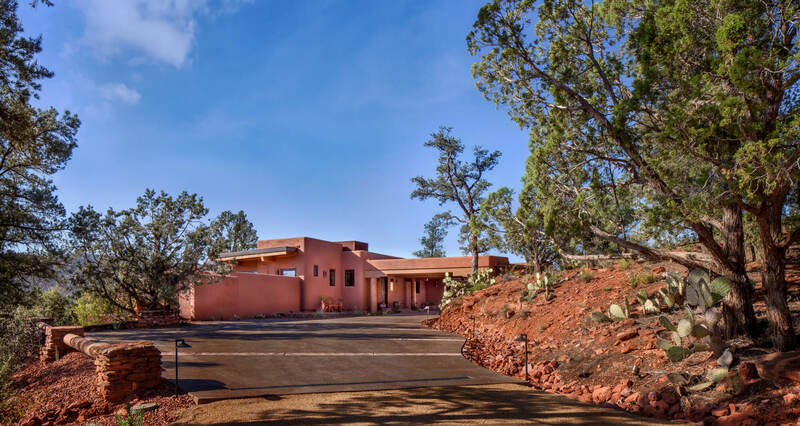 Step into Sun Cliff and step into the history and traditions of Sedona. Our home mimics nature in color, feel and flow. Every curve and nook of luxurious detailing within reflect the view without. Custom, hand carved doors grace our thresholds. Navajo rugs, Native American art and local water colors breath artistry into our home. Luxurious comfort, unparalleled views, enjoyed in a private and intimate setting. Sun Cliff is more than a testament to the past. 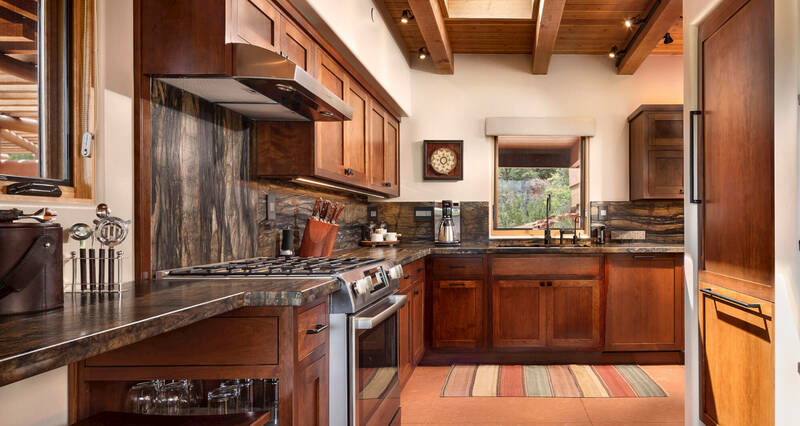 We offer modern touches to the southwestern design in the gourmet kitchen and the luxe bathroom. The fully equipped kitchen appliances are integrated in the cabinets giving a seamless feel to the warm woods and satin granite counter tops. The bath blends travertine style tile, glass, marble and bronze fixtures reminiscent of a luxury spa. 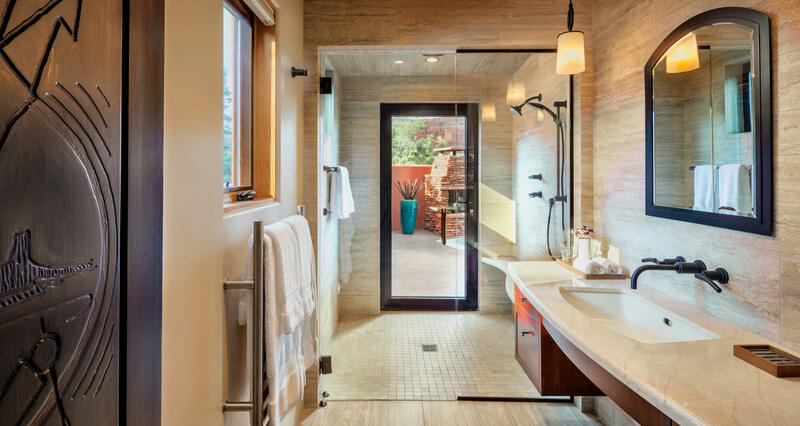 Warm towels and warm floors greet you as you exit the steam shower. Make it an aromatherapy spa experience with our complimentary essential oils and luxury bath amenities. 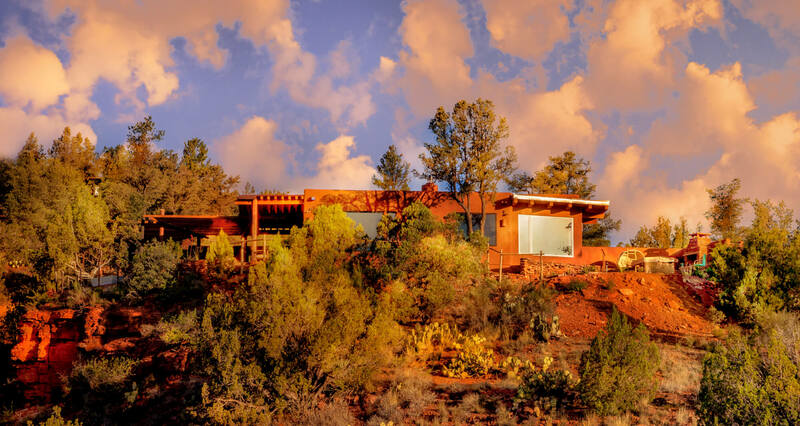 As impressive as is Sun Cliff’s interior, our home’s exterior aspires to steal the show. 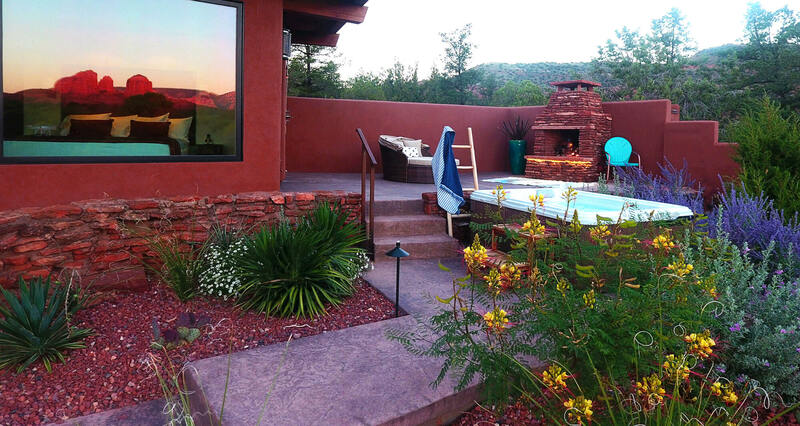 Perched at the cliff’s edge, over 800 square-feet of outdoor lounge space unrolls over expansive patios, cozy seating areas, flickering fireplaces, a soaking tub and just outside your bedroom door a two person jacuzzi. 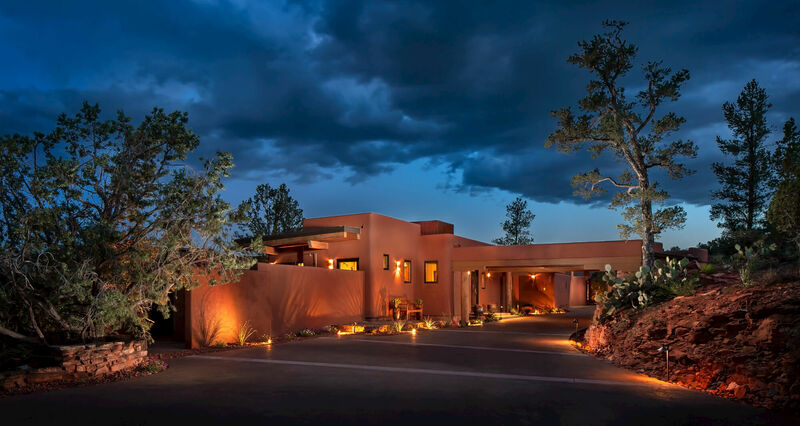 Our outdoor grill is surrounded by River Bordeaux granite and the patio walls are graced with hand-carved wood panels depicting native petroglyphs. Our comfortable patio table affords the perfect perch for breakfast or dinner. Just down a short trail you will traverse a wooden bridge that leads to your own private picnic area and just for you access to Oak Creek. Every morning, the sun rises over Cathedral Rock. 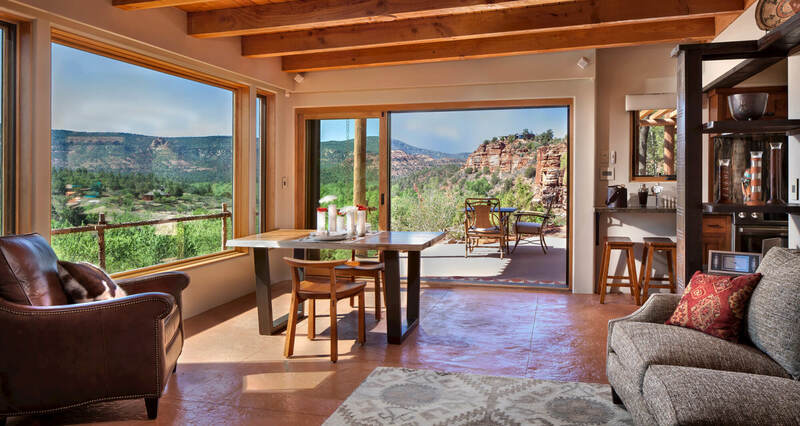 Imagine snuggling on the patio with a cup of coffee, listening to Oak Creek ripple past, breathing in the surrounding beauty. Every evening, an endless obsidian carpet unrolls above, punctuated with the twinkling magic of a million stars. 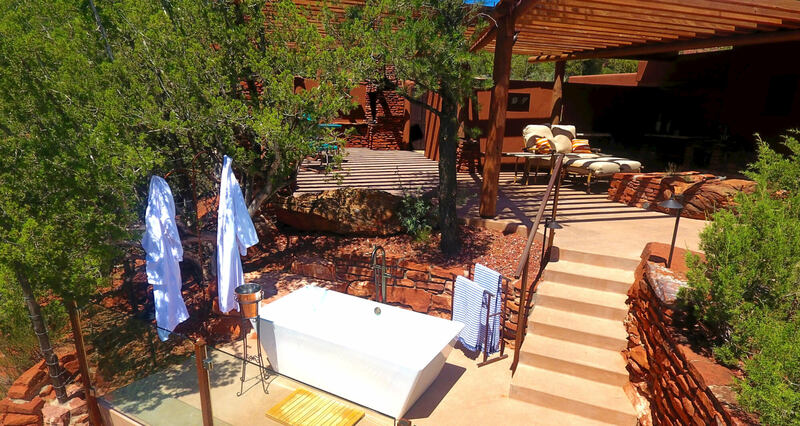 Imagine a moon and star massage on your patio followed by a soak in your private outdoor tub.